Like their for-profit peers, nonprofit marketers have also discovered the value of hosting a blog on their website as they leverage blog content to share the latest cause-related news, provide valuable insights, and answer questions that are top-of-mind for their community. For nonprofits in 2016, blogging should no longer be a matter of “if”, but a matter of “when”. In other words, if your nonprofit’s website doesn’t have an active blog, you are potentially missing a huge opportunity to increase your nonprofit’s visibility, digital reach, and ultimately donations. 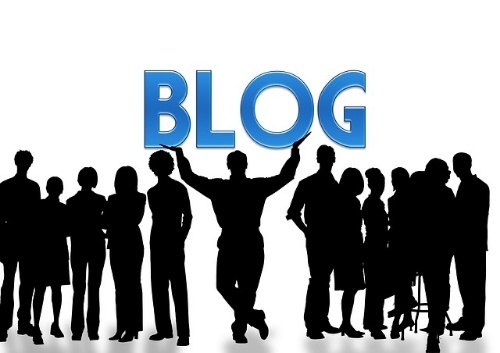 Here are the top 5 reasons your nonprofit needs a blog. A blog is perhaps the best marketing asset for generating cause awareness and telling your nonprofit’s story. And there are countless ways to go about doing this—consider the following. Write blog posts to share fundraising campaign success stories with your community. Take the opportunity to write about the great hands-on work your volunteers are doing to help drive your mission. Share the latest research that can help improve the lives of your constituents. And give the occasional shout out to your donors and other advocates who are helping your nonprofit reach its goals. In short, blogging gives your nonprofit a way to speak on a consistent basis to your community’s issues and concerns. If done correctly, blogging can improve your organic search ranking. As you write your blog posts, be sure to include one or two keywords. When your audience searches online for your nonprofit by name or for the cause-related long tail keywords that are in your blog posts, your website and blog links will appear in the search results. Content quality and volume are both crucial to boosting your search engine ranking. The more high quality blog posts you publish, the more indexed pages you create for search engines to display in their search results. This not only improves your organic search visibility, but it also drives more qualified traffic to your website. Blog posts are typically the backbone for all content marketing initiatives. With an integrated marketing strategy, your blog post content can be easily extracted and repurposed across a variety of marketing channels including your social media networks, contact emails, digital newsletters, and infographics. You can even combine multiple blog posts on related topics to create long-form educational resources like ebooks and guides. Chances are your nonprofit has invested a significant portion of your marketing budget in printed materials over many years. Perhaps you’ve got file cabinets full of archived newsletters, brochures, event flyers, and programs—all with relevant messages that still resonate with your audience and speak to your mission. This is considered “evergreen content” due to its timelessness. Consider repurposing your printed content in the form of blog posts to reach a broader audience faster and without the expense and hassle that comes with mail distribution.